Making the change from a traditional pop-up or portable display presents a new, exciting approach to exhibition stand design. Whether you’re opting for a modular display or a completely bespoke stand, we’re sure you’ll make a huge impact at your next event. 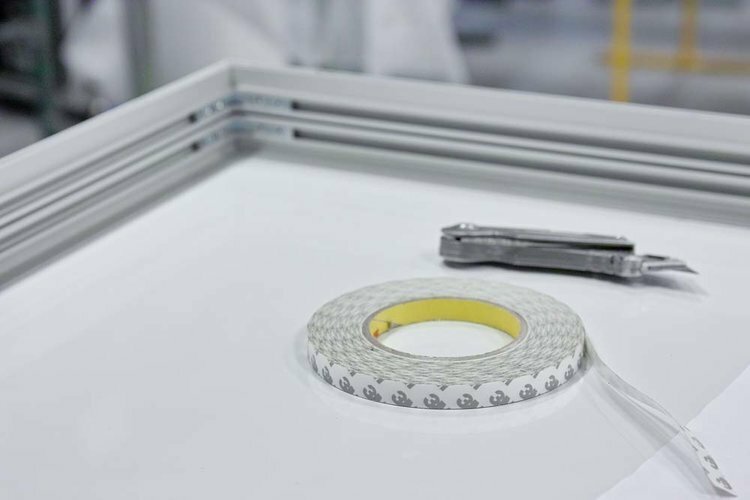 Naturally, upgrading to these types of stand result in a more complex manufacture and build process. As experienced exhibition stand builders with over 20 years of experience in the design and construction of event displays, when you work with us you’re in safe hands. From design to manufacture, exhibition stand build to breakdown, we’ll project manage the entire process, leaving you with one less headache when it comes to exhibition season! 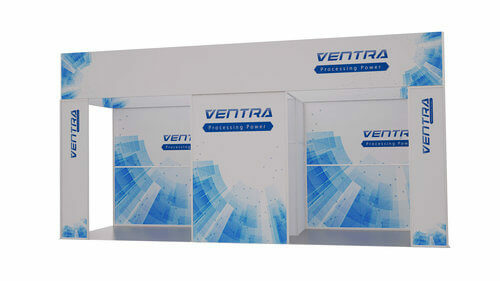 We use the most versatile modular aluminium profile system on the market to construct your exhibition stand. Designed and manufactured in the UK, the system is capable of incorporating a range of bespoke features and materials such as curved profiles, integrated LED illumination, glass, acrylic, wood, fabric graphic panels, and much more. Check out our design page for more detail and exhibition stand design inspiration, or read on to discover how we’re the ideal choice when it comes to exhibition stand builders for your next event. We believe in a transparent approach to project management, which means you’ll have total visibility at every stage of your exhibition stand build. From an initial 3D visual to the finished components, your dedicated stand builder / manager will keep you updated with progress each step of the way. This process continues long after your first exhibition. As all of our modular stands can be reconfigured depending on the space available, our exhibition stand builders will work with you to create new layouts with your existing system, managing any production needed, plus all of your print, whether that’s tension fabric, vinyl or foamex-mounted print. We understand the importance of contracting efficient, accurate and safe exhibition stand builders. Alongside organising the technical requirements of an exhibition stand, such as floor coverings, electrical supply, furniture and any other special show requirements you may need, we will liaise with show organisers to submit a master document with all required plans, method statements and risk assessments for the organiser's approval to build. 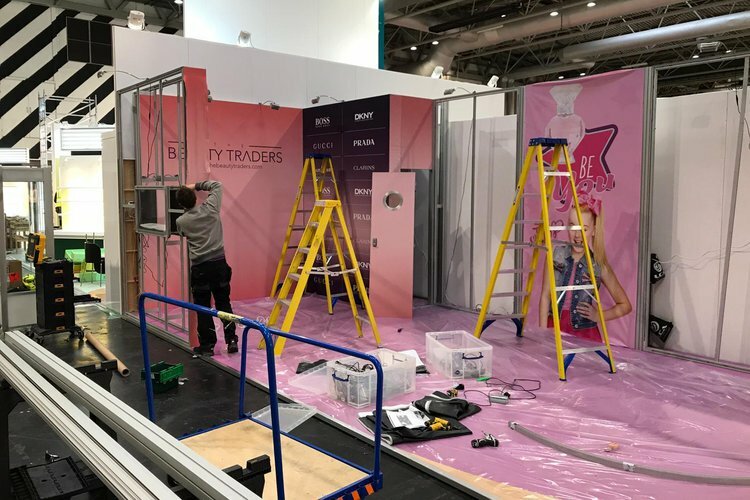 Our fully trained and certified exhibition stand builders are able to prepare, stage, load and transport all materials before completing builds both nationally and internationally and once the show is over we organise the de-rig and post-event stand storage. Often the final piece of the puzzle is organising the logistics of delivering your exhibition stand at the right time and place. Once your stand has been manufactured and signed off, we’ll store your display ready for transportation and build up at your exhibition. We’ve worked with all of the major exhibition venues across the UK (from London to Birmingham & Glasgow), managing projects everywhere in the UK, Europe and beyond! And once you’ve finished taking in all of those leads, we’ll be there to pack your stand away and keep it in our dedicated storage space ready for the next time you need it. Want more information on how we can help with your stand build?